Over the course of his career — which spanned four decades — he released an estimated 500 albums within Jamaica, the UK and the U.S. Isaacs collaborated with reggae, dub and dancehall contemporary icons like Lee “Scratch” Perry, King Tubby, the late Sugar Minott, Freddie McGregor, the late Dennis Brown and Errol Holt. 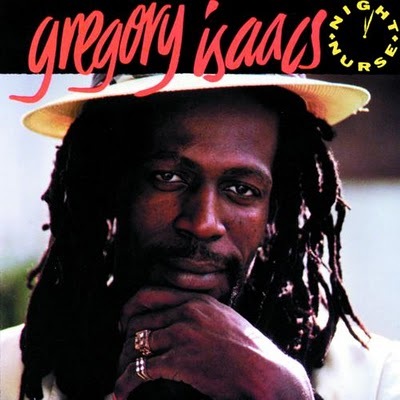 After spending the Seventies building a reputation as both a top-notch roots reggae singer and a soulful “lovers rock”-style crooner, Isaacs recorded his world- renowned signature track Night Nurse at Bob Marley’s Tuff Gong Studios in 1982, the year after Marley passed away. Night Nurse climbed to rank number 32 on the British charts. Night Nurse is a staple for selectors and reggae cover bands the world over, and was re-released as a cover version, by Sly and Robbie featuring Simply Red, in 1997, in the UK, where it once again ascended the charts to rank number 13. Isaacs reached milder success with tunes, Hush Darling and Babylon Too Rough. Issacs’ road in life was not nearly as smooth or gentile as his voice. His rap sheet is almost as prolific as his discography, with over 50 reported arrests in his lifetime. On the verge of stardom, he was sentenced to a six month stint in a Jamaican prison, on illegal firearm charges. Isaacs wrestled with drug addiction throughout his career, which eventually led to the loss of his teeth, while his legendary voice was jeopardized from persistent drug use, according to Rolling Stone. Isaacs soldiered on and continued to make music, performing at festivals in his homeland of Jamaica, and abroad. He released his final album, Brand New Me, in 2008. This post was contributed by Brittany Somerset. Multiplayer gaming is extremely hard stages. The paychecks are good at. and often a person day hunting by means of having agar.io hack enjoyment. can avoid the attacker and destroy them. So shocked about this – he was still young and still had performing energy in him. I’m glad I got to see him at BBkings a couple years ago. Mek mi tell you di man MASH UP di place! The passing of a musical genius with a unique voice. Its so sad to see another of our musical icons exit center stage.